Being the owner of Moto-Skiveez, and living in Utah, I have had the pleasure of having Erin and Trev stay with us for periods of time. Especially during their bouts while at Bonneville. She is among the most sincere and nicest people you will ever meet. And it is truly amazing the schedule that she keeps with appearances, racing and life in general. 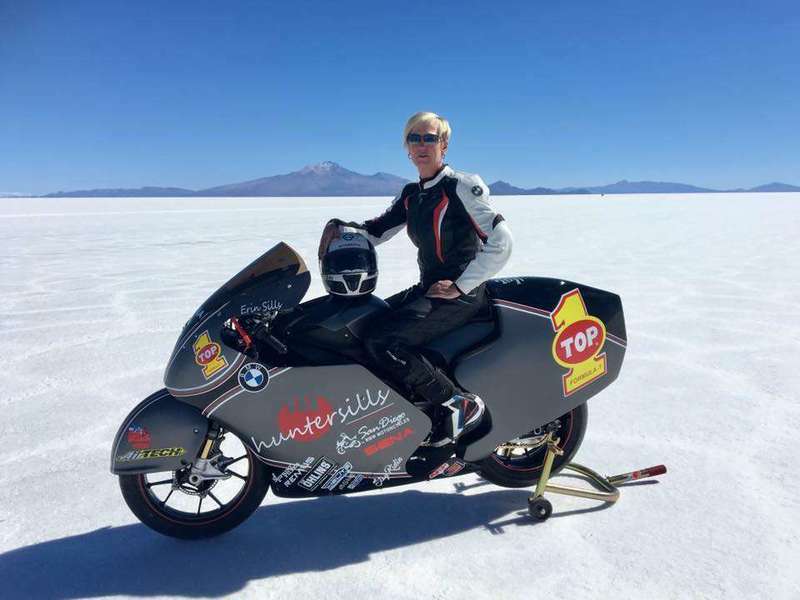 Her speed record on a motorcycle is about the same pace as her life in general. Happy to know that another record is on the books for her!